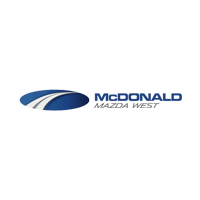 McDonald Mazda has Colorado's largest selection of Certified Pre-owned Mazda's! Clean CARFAX. Certified. Blue Reflex Mica 2018 Mazda Mazda6 Grand Touring FWD 6-Speed Automatic SKYACTIV®-G 2.5L I4 DOHC 16V Mazda Certified Pre-Owned Certified, Navigation System. Mazda Certified Pre-Owned Details: * Includes Autocheck Vehicle History Report with 3 Year Buyback Protection * Limited Warranty: 12 Month/12,000 Mile (whichever comes first) after new car warranty expires or from certified purchase date * Vehicle History * Transferable Warranty * 160 Point Inspection * Powertrain Limited Warranty: 84 Month/100,000 Mile (whichever comes first) from original in-service date * Roadside Assistance * Warranty Deductible: $0 McDonald Mazda South at 6100 South Broadway in Littleton has just completed construction on the Nation's flagship Revolution dealership, come experience the future of Mazda! We are a leader in Certified Pre-Owned Mazda vehicles, buy from the best! As always our Market Based Pricing ensures you are getting the best price possible on every pre-owned vehicle! McDonald Mazda South specializes in the very best pre-owned vehicles of every make. All of our pre-owned vehicles are fully inspected and reconditioned to our high standard. McDonald Automotive is a family owned dealer group, dedicated to community involvement and ensuring that we provide the very best quality vehicles for over 50 years. Please call us today at 303-376-4732 for more information. TECH PACKAGE ** ULTIMATE PACKAGE ** NAVIGATION, INFINITY PREMIUM SOUND, SUNROOF, HEATED LEATHER SEATS ** LANE KEEP ASSIST, SMART CRUISE CONTROL, HIGH BEAM ASSIST AND MUCH MORE! $27,890 MSRP - SAVE THOUSANDS! McDonald Hyundai specializes in the very best Pre-Owned vehicles of every make. All of our Pre-Owned vehicles are fully inspected and reconditioned to our high standard. McDonald Automotive is a family owned dealer group, dedicated to community involvement and ensuring that we provide the very best quality vehicles for over 50 years. Please call us today at 303-376-4731 for more information. Clean CARFAX. Electric Blue Metallic 2017 Hyundai Elantra Limited FWD 6-Speed Automatic with Shiftronic 2.0L 4-Cylinder DOHC 16V Cargo Package, Limited Tech Package 08, Limited Ultimate Package 09. McDonald Hyundai specializes in the very best Pre-Owned vehicles of every make. All of our Pre-Owned vehicles are fully inspected and reconditioned to our high standard. McDonald Automotive is a family owned dealer group, dedicated to community involvement and ensuring that we provide the very best quality vehicles for over 50 years. Please call us today at 303-376-4731 for more information. TECH PACKAGE ** ULTIMATE PACKAGE ** $27,930 MSRP! NAVIGATION, INFINITY SOUND, SUNROOF ** LANE KEEP ASSIST, HID NHEADLIGHTS, SMART CRUISE CONTROL ** McDonald Hyundai specializes in the very best Pre-Owned vehicles of every make. All of our Pre-Owned vehicles are fully inspected and reconditioned to our high standard. McDonald Automotive is a family owned dealer group, dedicated to community involvement and ensuring that we provide the very best quality vehicles for over 50 years. Please call us today at 303-376-4731 for more information. CARFAX One-Owner. Tornado Gray Metallic 2018 Priced below KBB Fair Purchase Price! Audi A6 2.0T Premium Plus quattro quattro 8-Speed Automatic with Tiptronic 2.0L 4-Cylinder TFSI quattro, Black w/Leather Seating Surfaces, 19" Black Optic Package, 4-Zone Automatic Climate Control, ABS brakes, Audi Side Assist w/Pre Sense Rear, Bose Surround Sound System w/Subwoofer, Cold Weather Package, Compass, Electronic Stability Control, Front dual zone A/C, Heated Auto-Dimming Power-Folding Exterior Mirrors, Heated door mirrors, Heated Front Seats, Heated front seats, Heated Rear Seats, Heated Steering Wheel, High Gloss Black Package, High intensity discharge headlights: Bi-xenon, Illuminated Aluminum Door Sills, Illuminated entry, LED Headlights, LED Interior Lighting Package Plus, Low tire pressure warning, Navigation System, Power Adjust Steering Column w/Memory, Power moonroof, Premium Plus Package, Remote keyless entry, Traction control, Wheels: 19" 10-Spoke Titanium Matte Finish. Audi Denver is the area’s premier luxury automobile dealership specializing in new Audi vehicles and Pre-Owned vehicles of all makes. Our vehicles are all inspected, and reconditioned to our high standard. Please contact a sales specialist today at 303-376-4730. 63,220 MSRP! Audi Certified Pre-Owned-- FACTORY WARRANTY FOR 5 YEARS FROM ORIGINAL SALE DATE WITH UNLIMITED MILES!! CARFAX One-Owner. Certified. Florett Silver Metallic 2018 Audi A6 3.0T Premium quattro quattro 8-Speed Automatic with Tiptronic 3.0L V6 Turbocharged DOHC 24V ULEV II 340hp quattro, Black w/Leather Seating Surfaces, 19" Black Optic Package, 4-Zone Automatic Climate Control, ABS brakes, Audi Side Assist w/Pre Sense Rear, Bose Surround Sound System w/Subwoofer, Cold Weather Package, Compass, Electronic Stability Control, Front dual zone A/C, Heated Auto-Dimming Power-Folding Exterior Mirrors, Heated door mirrors, Heated Front Seats, Heated front seats, Heated Rear Seats, Heated Steering Wheel, High Gloss Black Package, High intensity discharge headlights: Bi-xenon, Illuminated Aluminum Door Sills, Illuminated entry, LED Headlights, LED Interior Lighting Package Plus, Low tire pressure warning, Navigation System, Power Adjust Steering Column w/Memory, Power moonroof, Premium Plus Package, Remote keyless entry, Traction control, Wheels: 19" 10-Spoke Titanium Matte Finish. Audi Certified Pre-Owned. This car has been through Audi's 300+ inspection and reconditioning process and includes a warranty extension to 5 years from original sale date with UNLIMITED MILES and NO Deductible!! Audi Certified Pre-Owned vehicles include complimentary roadside assistance, trip interruption service, and special financing rates. Call or email now and see why Audi Denver is the region's volume AND customer satisfaction leader in both new and Certified Pre-Owned Audi vehicles. Audi Certified Pre-Owned-- FACTORY WARRANTY FOR 5 YEARS FROM ORIGINAL SALE DATE WITH UNLIMITED MILES!! CARFAX One-Owner. Certified. Florett Silver Metallic 2018 Audi Q7 2.0T Premium Plus quattro quattro 8-Speed Automatic with Tiptronic 2.0L I4 TFSI DOHC 3D Bose Surround Sound System, 3-Spoke Multifunction Steering Wheel w/Paddles, ABS brakes, Audi Active Lane Assist, Audi Adaptive Cruise Control w/Stop & Go, Audi Connect CARE, Audi Connect PRIME & PLUS, Audi MMI Navigation Plus Package, Audi MMI Navigation Plus w/MMI Touch, Audi Pre Sense Front, Audi Side Assist w/Pre Sense Rear, Audi Smartphone Interface, Black Rubber All-Weather Floor Mats (Set of 4), Cold Weather Package, Compass, Driver Assistance Package, Electric Tilt/Telescopic Steering Column w/Memory, Electronic Stability Control, Front dual zone A/C, Heated Auto-Dimming Power Folding Exterior Mirrors, Heated door mirrors, Heated Front Bucket Seats, Heated front seats, Heated Rear Seats, High-Beam Assistant, Illuminated entry, LED Interior Lighting Package, Low tire pressure warning, Power Liftgate, Power moonroof, Premium Plus Package, Remote keyless entry, Silver Finish/Gray Oak Wood Inlays, Traction control, Traffic Sign Recognition, Wheels: 19" 5-V-Spoke Design. Audi Certified Pre-Owned. This car has been through Audi’s 300+ inspection and reconditioning process and includes a warranty extension to 5 years from original sale date with UNLIMITED MILES and NO Deductible!! Audi Certified Pre-Owned vehicles include complimentary roadside assistance, trip interruption service, and special financing rates. Call or email now and see why Audi Denver is the region’s volume AND customer satisfaction leader in both new and Certified Pre-Owned Audi vehicles. Very low mileage! MSRP was $58170! Save over $13,000 from a new one! Vehicle is still leaseable! This is a fantastic deal on one of our courtesy loaners. Vehicle has never been titled. Vehicle is priced with leasing incentives included. Add $3000 to finance or paying cash. Great lease! McDonald Volvo has one of Colorado's largest selection of pre-owned Certified by Volvo vehicles. 170+ point inspection. 5 years/unlimited miles from original in-service date and zero miles. $0 Warranty Deductible. 3-month free trial to SiriusXM radio and Volvo roadside assistance. Clean CARFAX. Certified. Luminous Sand Metallic 2018 Volvo S90 T5 Momentum AWD Automatic with Geartronic 2.0L I4 16V Turbocharged 12.3" Driver Display (Digital Instrument Cluster), 12V Power Outlet, 360-Degree Surround View Camera, 4-Zone Electric Climate Control, Active Bending Lights, Charcoal Headliner, Compass (Inner Rear View Mirror), Convenience Package, Cooled Glovebox, Headlight High Pressure Cleaning, Heated Front Seats, Heated Front Seats & Heated Steering Wheel, Heated Steering Wheel, Heated Washer Nozzles (Wet Arms), HomeLink, Momentum Plus Package, Park Assist Pilot, Power Operated Trunklid, Wheels: 19" 5-Triple Spoke Tech Matte Black. Odometer is 15099 miles below market average! Volvo Certified Pre-Owned Details: * Transferable Warranty * Vehicle History Report with Buyback Guarantee. Includes Trip Interruption Reimbursement * Vehicle History * Warranty Deductible: $0 * Roadside Assistance * Limited Warranty: 60 Month/Unlimited Mile (whichever comes first) from original in-service date * 170+ Point Inspection McDonald Volvo specializes in Certified Pre-Owned Volvo vehicles and the very best Pre-Owned vehicles of every make. All of our Pre-Owned vehicles are fully inspected and reconditioned to our high standard. McDonald Automotive is a family owned dealer group, dedicated to community involvement and ensuring that we provide the very best quality vehicles for over 50 years. Please call us today at 303-376-4733 for more information.